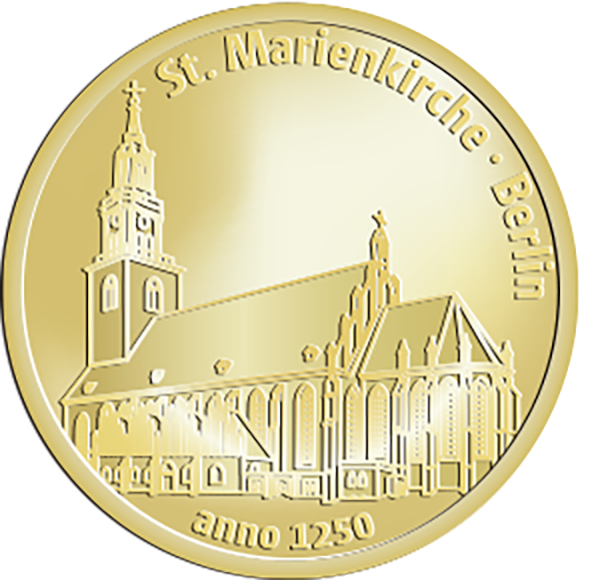 St. Mary’s Church, known in German as the Marienkirche, is a church in Berlin, Germany. It is located on Karl-Liebknecht-Straße in central Berlin, near Alexanderplatz. The exact age of the original church site and structure is not precisely known, but it was first mentioned in German chronicles in 1292. It is presumed to date from earlier in the 13th century. The architecture of the building is now largely composed of comparatively modern restoration work which took place in the late 19th century and in the post-war period. The church was originally a Roman Catholic church, but has been a Lutheran Protestant church since the Protestant Reformation.